Four Sidney Central School District teams were honored as scholar-athlete teams by the New York State Public High School Athletic Association for the winter sports season. To be recognized as a team, 75 percent or more of the team members must be at or above 90 percent and the overall team GPA had to be at or above 90 percent. The teams recognized were girls indoor track (93.3), boys bowling (92.4), boys basketball (91.2), and girls basketball (90.9). Also, below are the Midstate Athletic Conference scholar-athletes, which is the top GPA on each team. 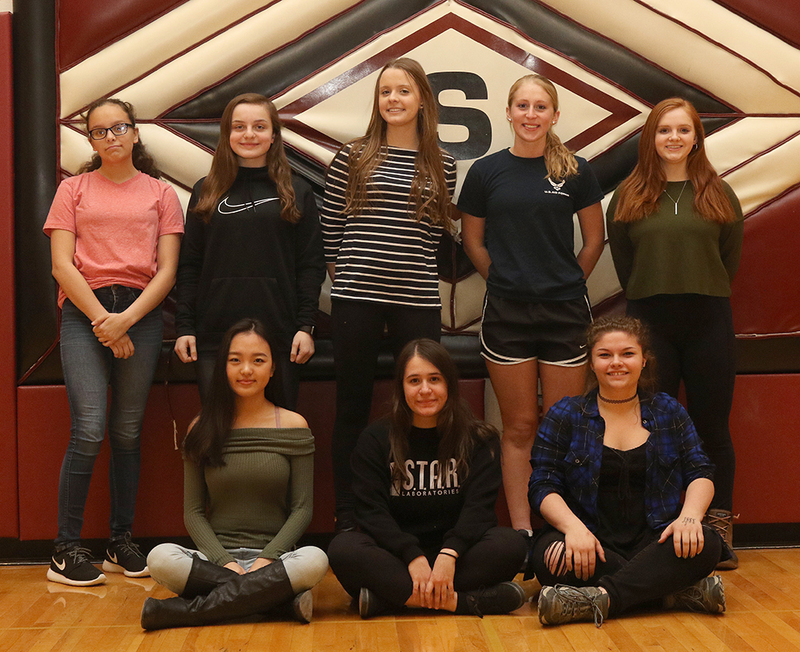 Girls indoor track (93.3): Hannah Gregory, Lilly Hinkley, Zhiyan Jin, Valery Olsen, Victoria Prouty, Hilde Savino, Katelyn Stosko, and Faith Wheeler. Boys bowling (92.4): Ryan Arnold, Joseph Dewey, and Nate Gorshack. Boys basketball (91.2): Levi Green, Matthew Hoskins, Liam Matthews, Justin McMillan, and Steven Smith. Girls basketball (90.9): Savannah Baldwin, Kaitlin Bookhout, Mariah Gifford, Adrienne Paternoster, and Meghan Worden. 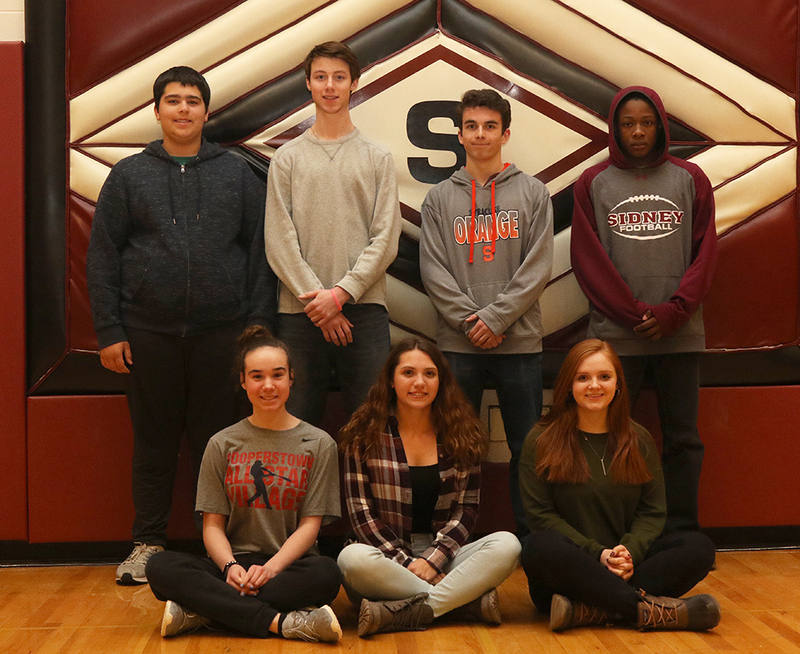 MAC scholar-athletes: Kaitlin Bookhout (girls basketball), Dakota Cotten (girls bowling), Joseph Dewey (boys bowling), Parker Hinkley (boys indoor track), Matthew Hoskins (boys basketball), James Myers (wrestling), and Victoria Prouty (girls indoor track). Photos of each group is below. Girls indoor track: Front (from left): Zhiyan Jin, Hilde Savino, and Hannah Gregory. 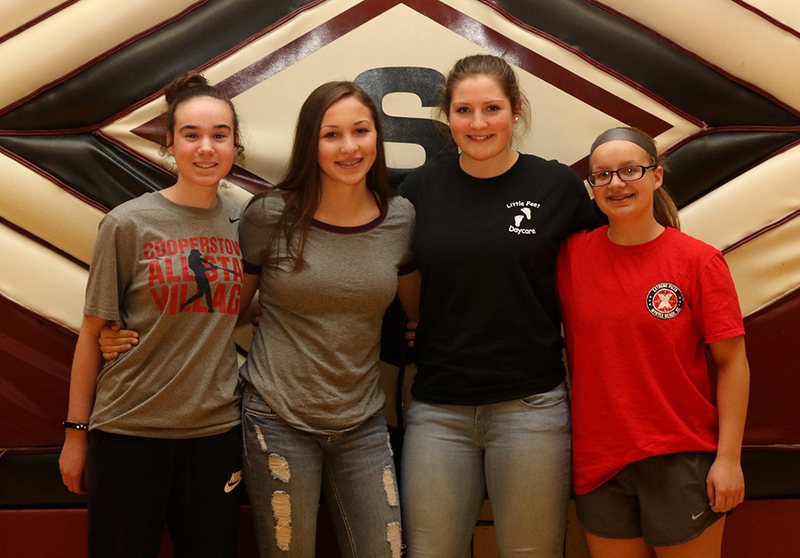 Back (from left): Katelyn Stosko, Faith Wheeler, Valery Olsen, Lilly Hinkley, and Victoria Prouty. Boys bowling : From left: Ryan Arnold, Nate Gorshack, and Joseph Dewey. 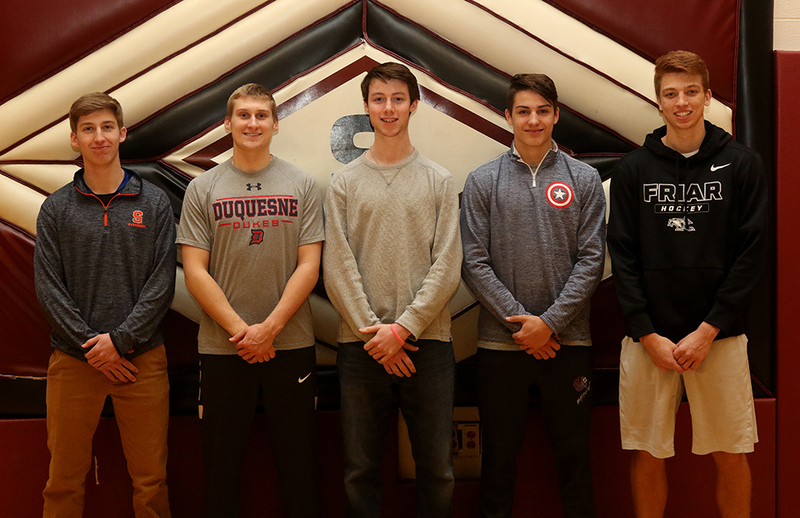 Boys basketball: From left: Levi Green, Justin McMillan, Matthew Hoskins, Liam Matthews, and Steven Smith. Girls basketball: Kaitlin Bookhout, Meghan Worden, Adrienne Paternoster, and Savannah Baldwin. Missing: Mariah Gifford. MAC scholar-athletes: Front (from left): Kaitlin Bookhout, Dakota Cotten, and Victoria Prouty. 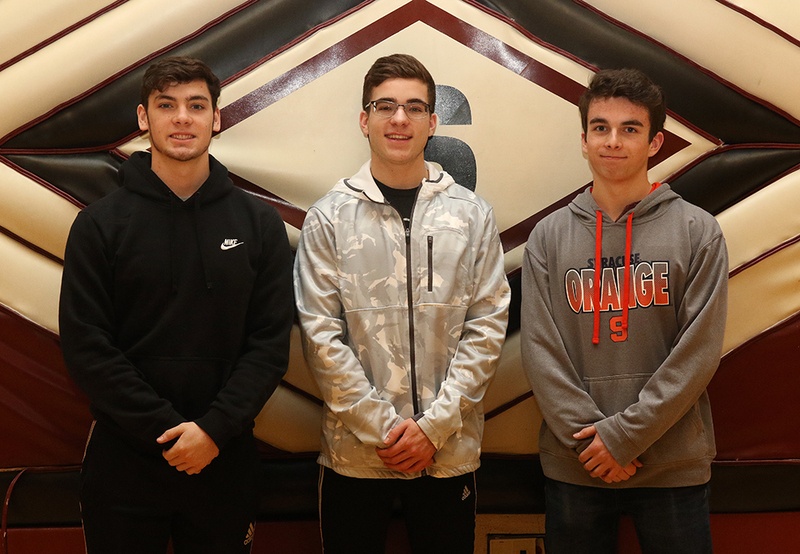 Back (from left): Parker Hinkley, Matthew Hoskins, Joseph Dewey, and James Myers.